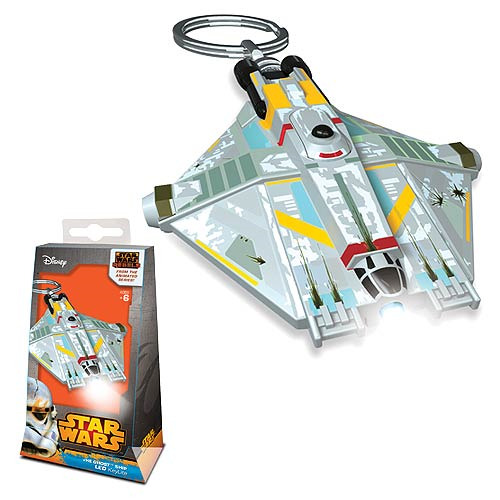 Fans of the Star Wars Rebels animated TV series will love this LEGO Star Wars Rebels Ghost Ship Key Chain Flashlight in the shape of the Ghost Ship. Push the button to light a keyhole, the inside of your purse, or anywhere you need quick illumination! Requires 2x "CR2025" batteries (included). Ages 6 and up.